Nearly every year, CxOs are asked to do more with less budget, and are always under pressure to find creative ways to reduce costs while simultaneously increasing revenue. According to a recent study by Gartner, even the role of the CIO is changing to be focused on company growth—58% of CIOs report that “Growth” is their top strategic priority. For most companies the most cost-efficient way to sustain and grow revenue is by keeping current customers happy, and growing those existing happy customers. Starting from the top, you want to create a smooth onboarding process that enables your customers to set up quickly and derive value from your product within the initial weeks of implementation. Your product is most likely going to be one of dozens of SaaS tools in their current tech stack, so ensuring that your product can “plug in” quickly is crucial. Simply put, if your product doesn't play nicely with the apps your customers use, it will be an uphill battle for your product to be sticky. For these reasons, providing a seamless integration experience or application marketplace to the third-party apps like CRMs, ERPs and HRIS systems make your product more valuable than just being a stand alone offer. Reducing customer churn, even by a small percentage, is fundamental to a SaaS company's growth. We all know that churn is the arch nemesis of subscription-based software companies, and our customers have experienced up to 60% reduction in customer churn and a 15% increase in customer LTV due to embedded integrations. What comes to mind when you think about software that has an enjoyable user experience? Typically what comes to mind is the simple design and ease-of-use, which can mean no configuration, no coding, and drag and drop simplicity. In other words, “it just works,” most likely with the other applications and tools you already use. A perfect example is Slack, a collaborative messaging app used by teams for an easier and better way to communicate. For many us it’s hard to imagine working without Slack. And why is that? It’s because Slack’s incredible product stickiness and lovable UX. 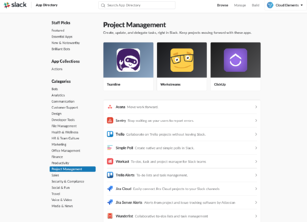 It’s easy to invite new colleagues to your organization, it’s easy to set up, and it’s easy to integrate with other popular applications, such Salesforce, Google Drive, and Asana. When you offer a white-labeled integration experience that lives directly in your app (such as Slack’s impressive integration app directory), you automatically become more enjoyable and easier to use. No longer do your customers have to deal with clunky file transfers, or writing to your API, they get the data they care about to and from your app. 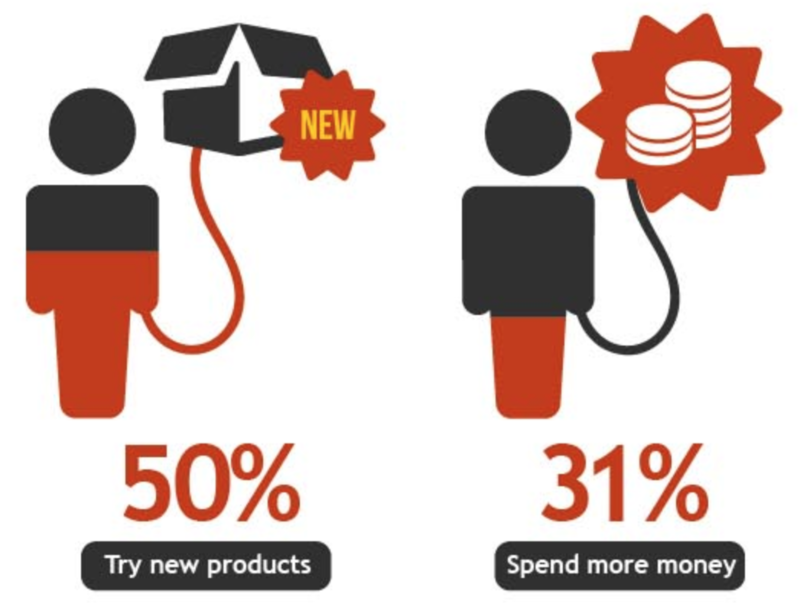 In fact, according to recent findings from Invesp, your current customers are 50% more likely to try new products and spend 31% more when compared to new customers. Add-on dollars can come in the form of selling your customers a new product feature, such as integrations to the cloud services they want. There are a handful of ways you can monetize integration, such as categorizing integrations into pricing tiers based on the level of complexity, pricing based on API call consumption, or charging an additional acceleration fee to bring a new integration to market. To learn more about our Element tiers and platform pricing, click here. Offering integrations to your customers may sound great, but consider who is going to build, deploy, and maintain them. Most software companies have limited developer resources and a backlogged roadmap. Hands down the best way to accelerate your time to market is by giving your devs a scalable, easy-to-use, and trusted platform to quickly build out integrations. The goal is to get your integration projects out the door faster, so your dev's can focus on building new revenue driving features in your own app. Our customers have seen savings up to 66% in development costs within the first year of partnering with us. So what is the best way to achieve your strategic goals? The answer is integration. At Cloud Elements we are dedicated to helping software companies meet their strategic goals - improving the customer experience, making integration your product’s secret weapon, and driving value out of your product faster. Now more than ever integration is no longer a nice-to-have feature but a crucial strategy to success. If you are ready to level up your strategic planning, contact us below to discuss your companies top priorities and determine the best integration strategy to meet next year’s goals.